such a gorgeous, warm day....these colours looked magnificent in the sunshine.. 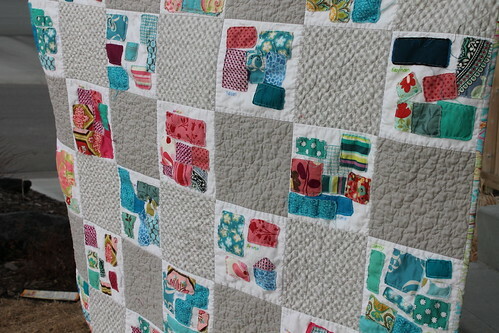 I'll show you the completed quilt soon! *don't be fooled by his charm. He just ate poo. I bought this lovely tea towel only for the colours in it. What a fabulous colour combo! I have become a dot com. Yes, I finally cropped the trapped in my head dot blogspot. I'm now millionsofthoughts.com Finally! No particular agenda, just am tired of the super long title it was. My quilt in progress is going very well. I hope to show some stuff off soon! My Jasper is growing like a weed. Look how he squeezes himself into his bed! Time to get a new one. He steals my (clean) underwear from the laundry pile when I'm folding laundry and sleeps on it. My big guy (9 years old) wanted to work the machine. MY machine. He had his first lesson in sewing with this Pillowcase Tutorial. He was intent on choosing just the right fabrics. Dragons, black and orange. As for cutting and measuring, he could care less. "Let's get on to the sewing already!" is what was screaming in his head as my voice droned on about selvedges, precision, straightening and measurements. I had to make it somehow boring and mundane, right? I needed to introduce something boring in this project. He was about to use MY machine, and I really need to protect the one area in the house that no one really knows anything about. He was so excited, so careful, and so like a man..how fast can this thing go? what does this button do? 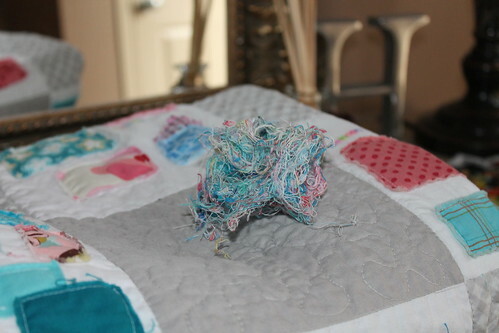 can I wind another bobbin? can I cut the threads again with the button? again? We worked on lining up the edges with the presser foot. And yes, I let him iron! Again, buttons and shiny objects (steam function) was a big hit! So proud! I sewed a pillowcase! 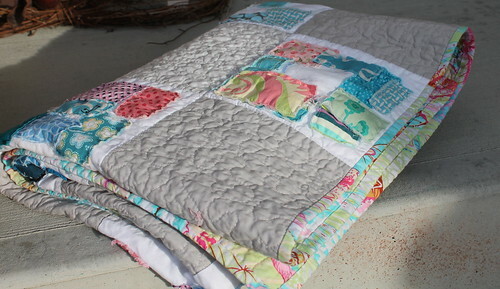 The pillowcase tutorial was super easy and quick! I have a feeling this will not be the last sewing adventure with my big guy. Also on the cutting table.. I have two projects on the go at once. This never happens. 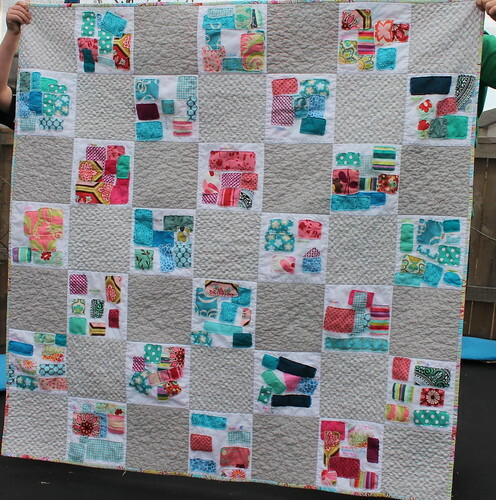 I'm a monogamous quilter. 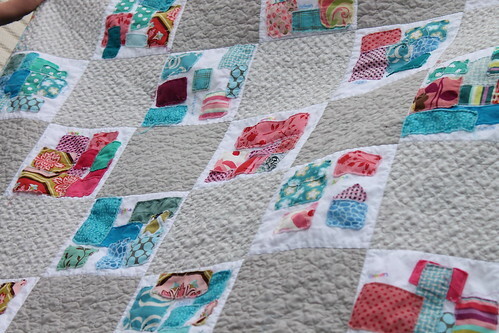 I'm branching out of using white in my quilt design this time to a pale minty/aqua colour.